With full sail set, the Irex cut a majestic figure as she stretched before a freshening north-westerly breeze, finally cutting her prow through the choppy waves which broke over the deck. The sun had set; the last crimson fires of its passing were cut through by the long slashes of cloud at the horizon that heralded the approach of another weather front. Hutton felt the confidence high in his own mind as the huge ship, almost 6000 tons of her, rolled easily in the increasing sea. He checked the glass again, noting the pressure had fallen again since their departure. 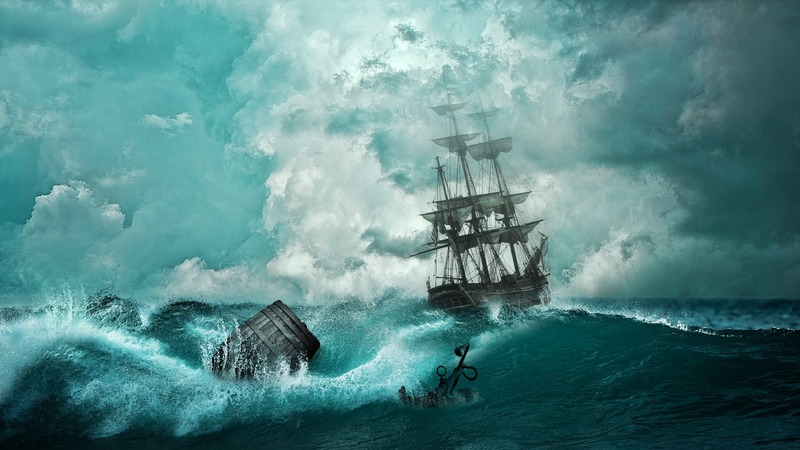 It always gave him an uneasy feeling sailing into an approaching front at night; there were few clues to give advance warning of suddenly changing conditions or incipient storms. I chose to read and review Irex for Rosie Amber’s book review team, based on a digital copy from the author. Thank you very much for a wonderful and perceptive review. Great review. Sounds like a really interesting novel. I’m really, really pleased to see this, not only because I agree, it’s hard to believe it’s a debut. Let me explain. I made one of my daft passing remarks on Twitter, and Carl, who I had never spoken to before, answered. We got chatting. I looked at his book (NOT at his instigation, I hasten to add! ), thought it looked like my sort of thing, read it, was most impressed. Having discovered how good it was, I saw that it didn’t have that many reviews. I suggested he submit to RBRT…. thus, the beauty of Twitter. Isn’t it great??!! I’ve got a bit of a thing for tall ships and seafaring disasters, so this was right up my street. He’s a trully excellent writer – I thought the characterisation and basic story telling was as the stuff of adventure writers of old. I really enjoyed reading about Shackleton and The Endurance, and also Joan Druett’s Island of the Lost (a true story about two ships wrecked on opposite sides of an Antarctic island unbeknownst to each other where in one crew everyone survived the winter while in the other crew almost everyone died. Sounds like this is another great read. This sounds like an intriguing book and my kind of read. I love a blend of history and fiction, especially when it involves a vessel at sea. Thanks for sharing. I’m headed to Amazon now to check Irex out further. Bought and downloaded my copy. Thanks, again! Thanks, Tess 🙂 It is a captivating read, for sure. Thank you! Sorry for the delayed reply, just found your comment in the spam folder!